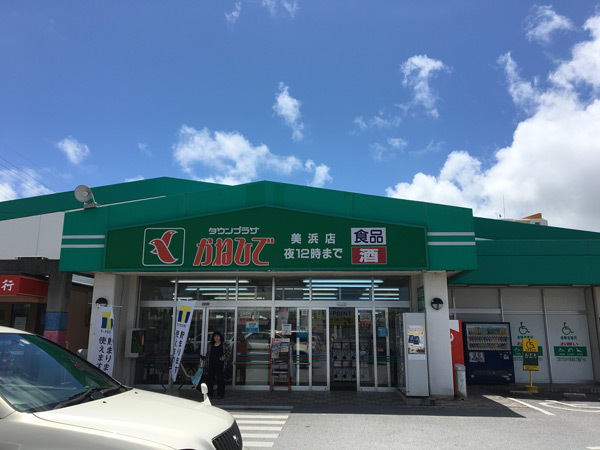 Everyone who’s ever visited Okinawa has seen a supermarket with green trimming on the building and green signboard with the name of the store written in red Hiragana characters on it. 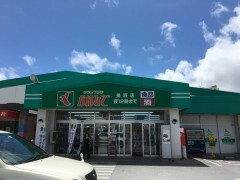 That’s a Kanehide supermarket of one of the largest supermarket chains on Okinawa owned by Kanehide Shoji Co. The company has 60 shops throughout Okinawa Prefecture and the green trimming of their store buildings is their trademark. Some of the stores bake their own fresh bread on the premises. Each store also has a kitchen to make bento box lunches and other ready to eat dishes in the store. A logo “CGC” meaning “co-operative grocery chain” on some Kanehide products denotes that they are made by Kanehide, and are sold as less-expensive, generic products.